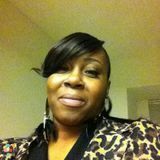 My name is Dana Jones and I've been cleaning houses for about four years and I really enjoy making others happy! I provide a detailed professional cleaning which includes dusting, vacuuming, organizing, and deep cleaning ( baseboards, ceiling fans, light fixtures etc.) I am available for Residential or Commercial cleaning. Contact me for more info.